SoulJar Games gives you more ways to play their Dice Crawl game with new, free optional rules for advanced solo play and an Ironman Mode (you don't actually play as Ironman, though that would be cool). Hi Dice Crawl players! 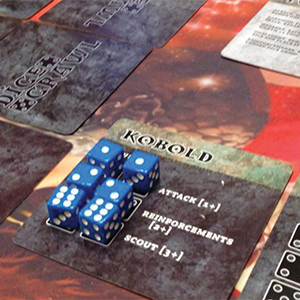 Postworldgames Jim Pinto - the designer behind Dice Crawl - has come up with two new optional rulesets for your Dice Crawl games: an Ironman Mode and Advanced Solo Play rules! Ironman introduces elimination rules and a lower dice count than maybe you are used to: it's Yahtzee meets a gladitorial contest and players aim to eliminate each other from the game. The Advanced Soloplay Rules introduces three different gaming 'personalities' and play styles for your AI opponents! How will you beat them?